Now we are at the end of the #5dayartchallenge. I will leave you with 5 of my favorite sketches and journal entries from between 2011 until now. Hope everyone likes the sketches. 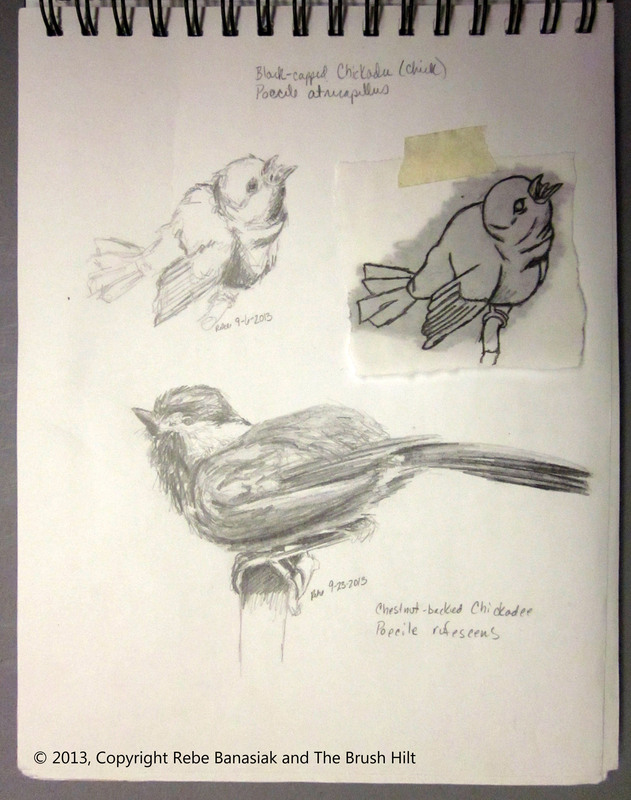 Chickadee sketches, Sketchbook 4 page 20, 2013, graphite. 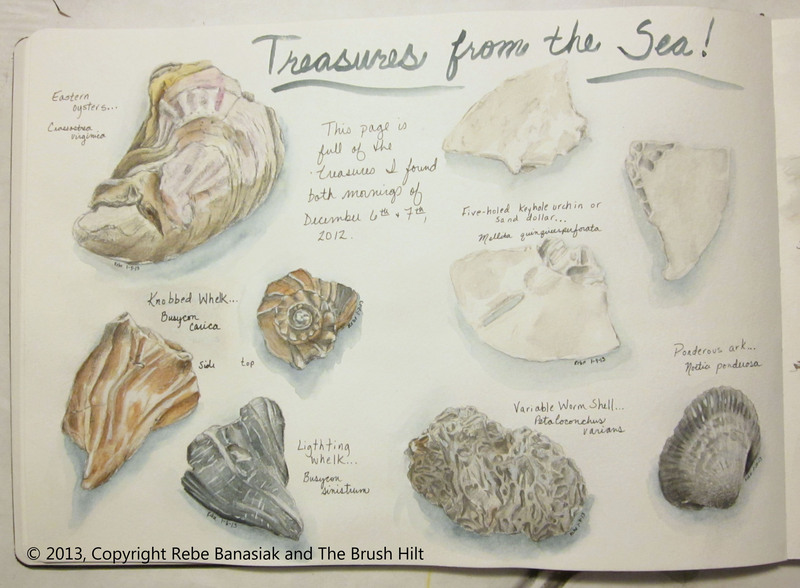 Treasures from the sea, Journal book 1 page 10, 2013, watercolor. 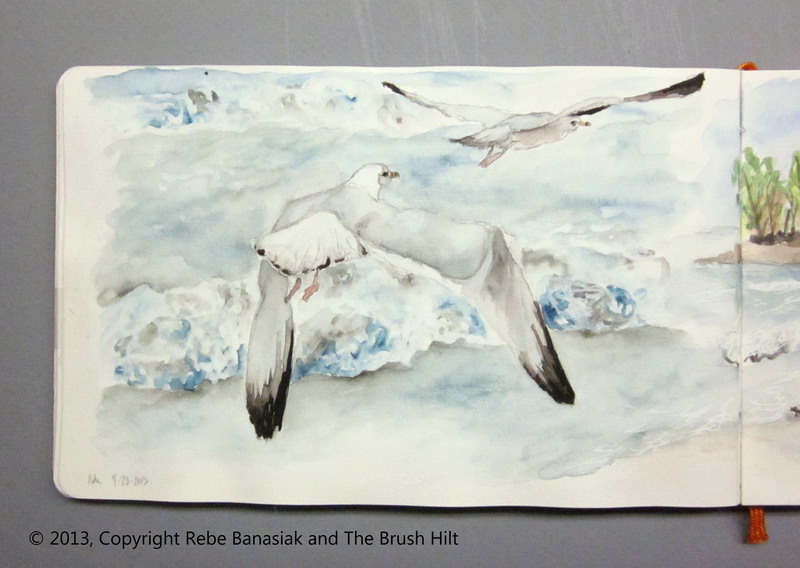 Seagulls, Journal book 2 page 24, 2013, watercolor. 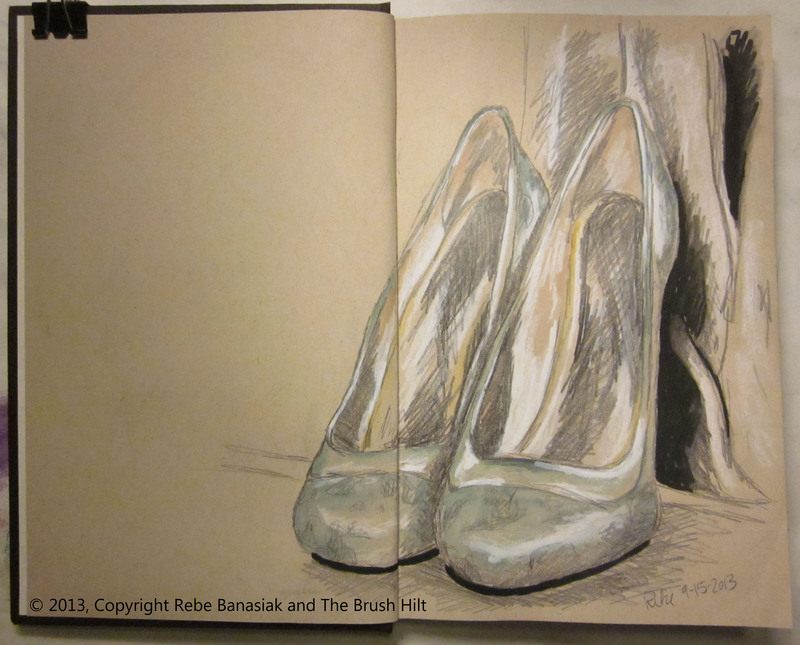 Pretty shoes, Sketchbook 5 page 2, 2013, watercolor and ink. 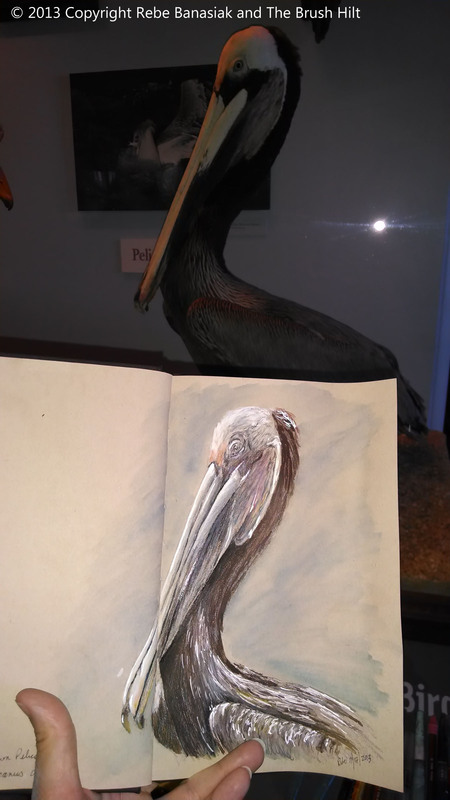 Brown pelican, Sketchbook 5, 2013, colored pencil and ink.